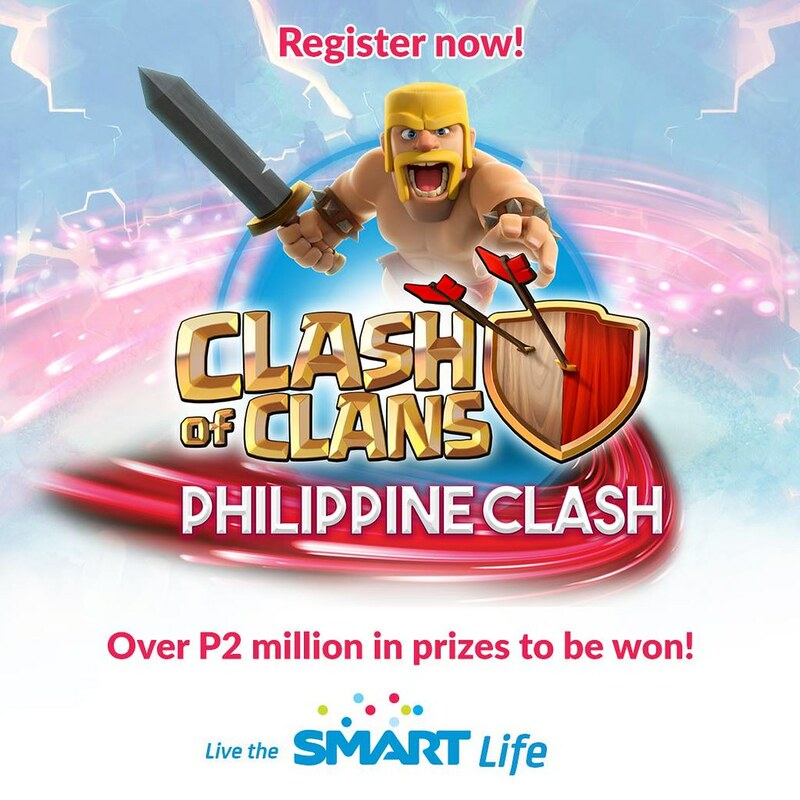 Smart, the country’s leader in mobile, is mounting Philippine Clash 2015 ‪#‎SmartPHClash, one of the biggest Clash of Clans (COC) tournament in the country, with over P2 million worth of prizes in 5 legs nationwide. Smart teamed up with the country’s biggest names in gaming, including the Philippine eSports Organization, Inquirer eSports, SM Cyberzone, and the Philippine Clash of Clans Battleground – the biggest online community of COC players in the country. This is part of our efforts to empower subscribers to live the ‪#‎SmartLife‬. To all Clash Of Clan gamers out there! Here is your Chance to Win Prizes just by playing your favorite Gaming App! Visit http://smart.com.ph/pages/PhilippineClash2015 for more info.